Today, Friday 17th, is the last day to book hotels using the old Marriott and Starwood reward charts. After a period of downtime, hotels will become bookable under the new charts from some point late on Saturday or on Sunday. Here is the link to the new reward chart on the Marriott website which lets you see the new pricing. Note that this pricing includes the new Category 8 which doesn’t come into effect until January – you won’t pay more than 60,000 points per night until then. A worrying announcement was made on Flyertalk on Wednesday night by the official Starwood representative. This is a BIG problem. Historically, the smart thing to do with a Marriott Travel Package was to buy the cheapest one (Category 1-5) and then, when you’d decided where to go, ring Marriott and pay the difference to upgrade it to the relevant category. This made sense because you didn’t get a refund if you bought a high category certificate and ended up booking somewhere cheaper. The Starwood representative is saying that anyone who did this is stuffed after today. They will have to stay at a Category 1-5 hotel – and those are not exactly the luxury end of the portfolio – or surrender their certificate for presumably the same 45,000 points compensation that is offered today. 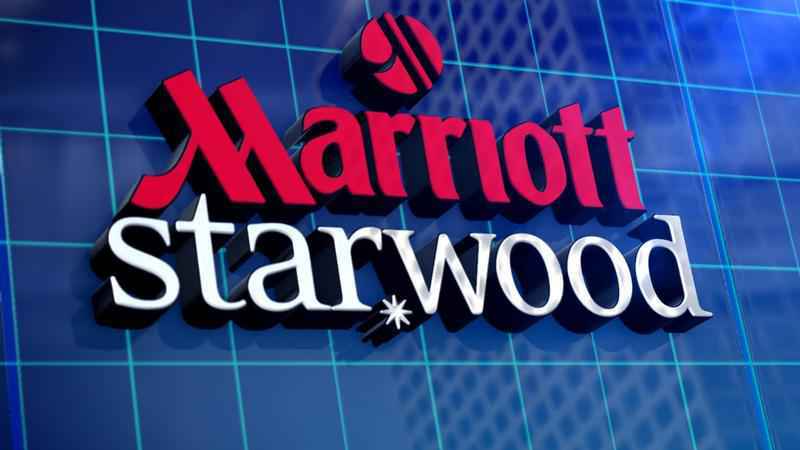 If you are sitting on a Category 1-5 certificate you need to have a very quick think about whether you believe the statement above and whether you should call Marriott today to upgrade it or whether you would be happy to accept 45,000 points to surrender it. If you do surrender, you would have spent a net 225,000 points for 120,000 Avios which is still not a bad deal. Who should book a reward room TODAY? In general, if you want to book a five star hotel in a major city (London, Paris, New York etc) then you should book today. JW Marriott Essex House in New York, for example, jumps from 45,000 points to 60,000 points tomorrow. The same happens with the Grosvenor House in London, Marriott County Hall, Marriott Grosvenor Square, Marriott Champs Elysees in Paris, The Shelbourne in Dublin etc. Domes of Elounda in Crete is, oddly, the hotel with the biggest price rise of all (89%!) as I discussed here. From the SPG side, lock in (for London) the Great Northern and Sheraton Skyline at Heathrow. The Sheraton Grand in Edinburgh also jumps up as do the two Le Meridien resorts in Dubai. The Sheraton Miyako in Tokyo also goes up, as does the Hotel Bristol in Vienna if you ever wanted to try that. In general it is the luxury hotels which are going up and the mid market hotels which are going down. There are some exceptions, eg the excellent Renaissance Paris Republique which I reviewed here is going down from 40,000 to 35,000 points. Who should book a reward room TOMORROW? If you want a book into a lower end hotel, you may find that it gets cheaper tomorrow. More interestingly, there are MASSIVE discounts on the hotels which are currently in Starwood Category 7. If you book these hotels today, they will cost you 105,000 points per night. From tomorrow, they will drop to 60,000 points per night. Some hotels in SPG Category 7 are classified as ‘all suite’ and it is not clear how these will be treated from Saturday. These are (this list also includes some ‘all inclusive’ exceptions): Vana Belle, a Luxury Collection Resort, Koh Samui, Thailand; The Naka Island, a Luxury Collection Resort & Spa, Phuket, Thailand; Sheraton Steamboat Resort Villas, Steamboat Springs, Colorado; The Westin Golf Resort & Spa, Playa Conchal, Costa Rica; The St. Regis Bora Bora and the Le Méridien Bora Bora, Bora Bora, French Polynesia; Mystique, a Luxury Collection Resort, Santorini, Santorini, Greece; The St. Regis Bali Resort, Nusa Dua, Indonesia; Hotel Cala di Volpe, Hotel Pitrizza, and Hotel Romazzino, Costa Smeralda, Italy; W Maldives, North Ari Atoll, Maldives; W Koh Samui, Surat Thani, Thailand; Al Maha, a Luxury Collection Desert Resort & Spa, Dubai, U.A.E. ; St. Regis Residence Club, Aspen, Aspen, CO; and Phoenician Residences, a Luxury Collection Residence Club, Scottsdale, AZ. From tomorrow, you can continue to book ex-Marriott hotels if you don’t have the points. You have until 14 days before check-in to get the required balance into your account. However, you will not be able to book ex-Starwood hotels in this way. This means that you can’t lock in a deal at any of the current Category 7 SPG hotels I listed above. My only personal plan, before anyone asks, is to try to lock in a couple of nights at the St Regis New York for September, dropping my current Essex House booking. I like the idea of trying it once and 60,000 points is a good price. We won’t be rushing to book the Maldives etc because I have decent visibility of our 2019 holiday plans and I don’t see this fitting in. I’d rather wait a couple of years until my kids are older and can get more out of it – after all, even if the hotel is an excellent deal I’m still on the hook for four flights …. For all who need to know Marriott has gone live at 10.30 Sat live in the UK ! ….or rather everyone’s status has changed as I just logged into Marriott.com and I am no longer Gold. I’ve changed from Gold to Platinum. So according to FT it looks like Marriott have been extremely miserly in how they’ve mapped certs. In particular both 1-5 AND 6 old have gone to 1-4 new!